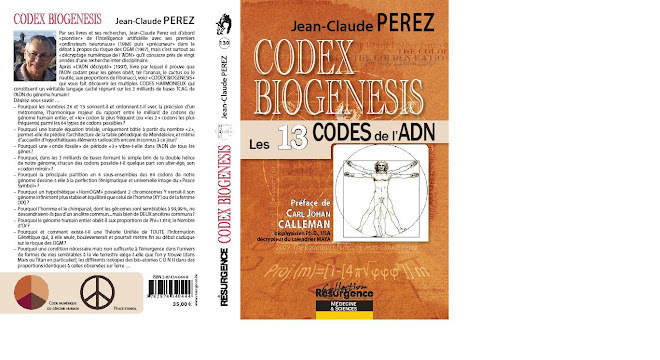 golden ratio and numbers in DNA- CODEX BIOGENESIS: les 13 codes de l'ADN (13 codes of DNA): 2008: The "EQUATION of LIFE"
clic please on the peace symbol then access: ... AUTOUR DU LIVRE "CODEX BIOGENESIS"
2008: The "EQUATION of LIFE"
July 2015: a main article "Decyphering Hidden DNA Meta-codes: The Great Unification § Master Code of Biology"
1988: "CLOWN-like" pattern or Holographic memory emerges from Fractal Chaos (January 2008). 1990: From Fractal Chaos to Golden Ratio (January 2008). 1991: first publication related to Golden Ratio in DNA (February 2008) . 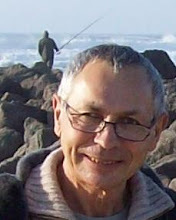 1992: Order and CHAOS in DNA – the Denis Guichard Prizewinner (February 2008) . 1994: The first Music of Genes (February 2008). 1995: Ethics of a discovery –Jean-claude Perez french 1995 video about DNA Supracode (February 2008) . 1997: 2 books: PLANèTE TRANSGENIQUE on GMO risk and “L’ADN decrypte” - DNA decyphered (February 2008) . 1997: The Mendeleev Periodic Table Predictive Equation (February 2008) . Codon populations in single-stranded whole human genome DNA Are fractal and fine-tuned by the Golden Ratio 1.618. July 2015: a main article "Decyphering Hidden DNA Meta-codes"
Are there NUMBERS in DNA ?? ?